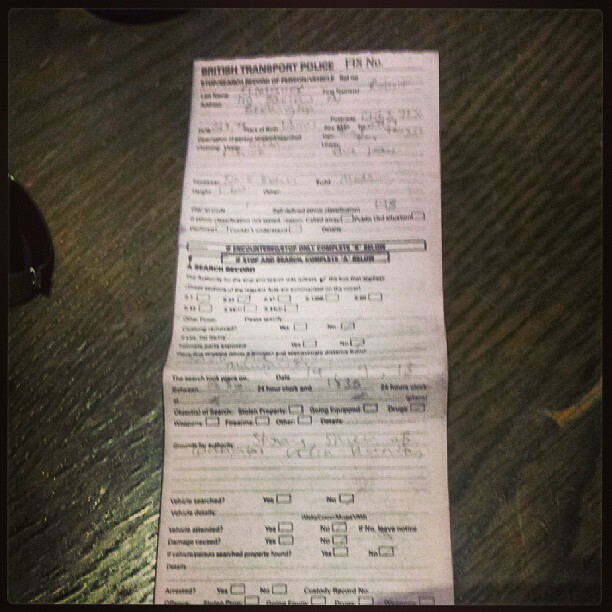 Well, last night (and today…) will go down as the most eventful gig we’re ever likely to play. The day started out well enough. We were all excited to play Manchester for the first time (as this band) and at a venue that had played host to some great bands over the years. My phone starting ringing, and it was Rob trying to call. 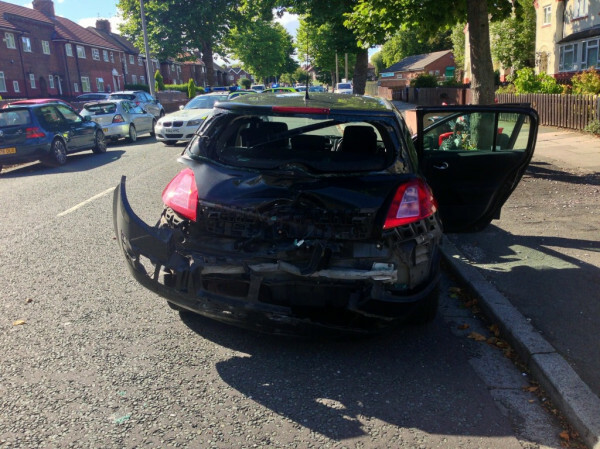 Without relaying the entire conversation, in short, a motorbike driving at an estimated 60/65mph in a 30mph zone drove into the back of Rob’s car, completely writing off the car and bike in the process whilst launching the driver over the top of the car and into a tree. We quickly set off to see Rob and make sure he was ok. Playing the gig at this point, seemed highly unlikely and being honest, it was the furthest thing from our minds. With that, he let us through and after waiting a further 45 minutes, we finally got to see and talk with Rob. We were surprised when he said he wanted to play the gig. We were told by another police officer at the incident that we “probably won’t be making it to Manchester tonight” so we called the promoter and said “I don’t think we’ll be playing…” – the gig was off. After a further wait of around 30-40 minutes, the news came through that Rob was free to go and with that, the gig was back on! Not to be callous, but doing 60-65mph in a residential area with a limit of 30mph, I think he got off lightly. But there you go. So, we arrived at Manchester over 2 hours later than intended and proceeded to set up and sound check in record time (mainly thanks to our engineer/wizard “Ben”). The gig itself was, like the ones before it — as good as it gets. 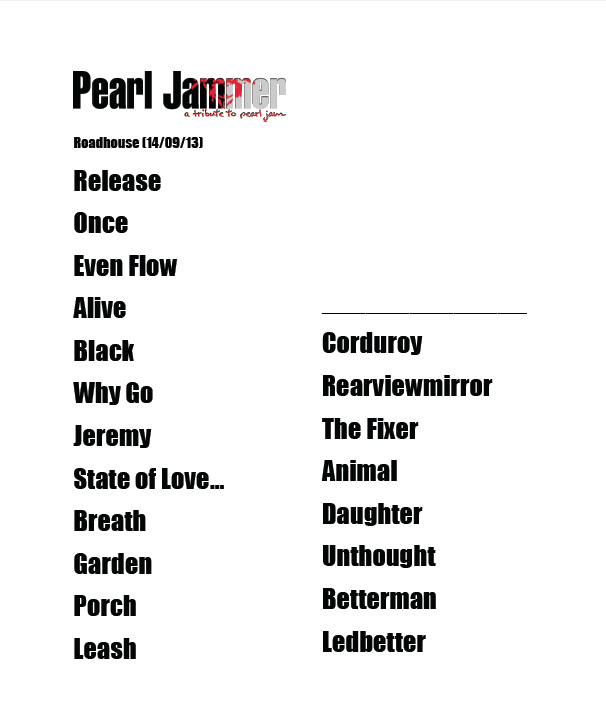 In what is now becoming “the norm” (and something that we in no way take for granted), people sang every word, danced, jumped and generally helped us create that “Pearl Jam in a club” vibe that everyone (maybe even the band themselves?) pines for. We played a “Ten” set for the first part, before a “greatest hits” set for the second. It’s so hard choosing from the 50 or so songs what to play at the best of times, but even harder still when the first 3/4 are already chosen for you. But, that again shows just how great a band they are. As always, a pleasure and a privilege. p.s The morning after the gig, my girlfriend was also involved in a car accident when a car failed to stop at the lights and drove into the back of her. Strange end to a strange weekend.